The UK pet food industry's birth, just before the turn of the twentieth century, is attributed to James Spratt of Cincinnati, Ohio, who travelled to London to sell lightening conductors. After watching dogs eating discarded ship's biscuits on the quayside on his arrival, he turned his attention to producing biscuits especially for dogs. The first canned foods for dogs were produced in the USA. 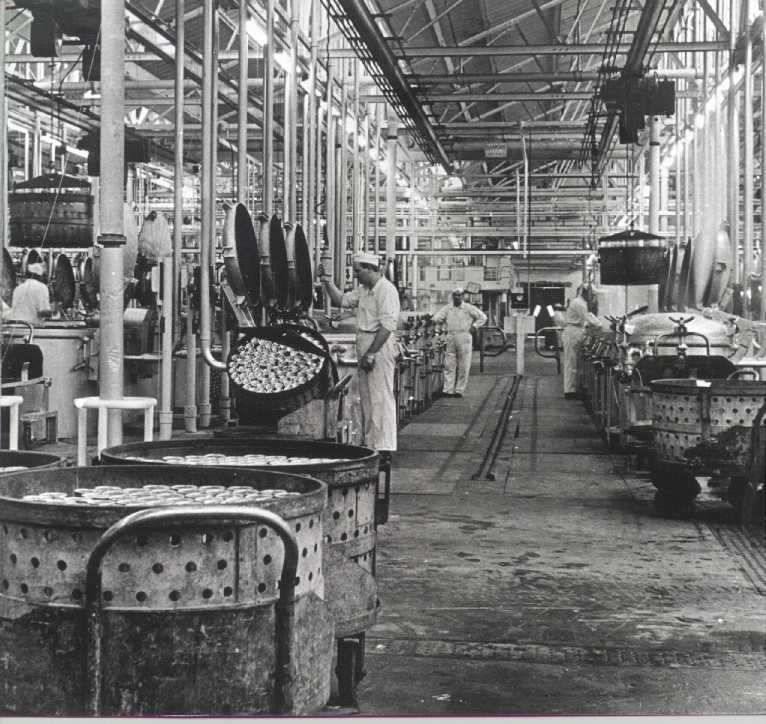 Commercial production in the UK began in the 1930s when the Chappel Brothers began canning a meat and cereal food for dogs. The broadening knowledge about pet animal nutrition and food technology enabled the industry to develop and diversify in leaps and bounds. Today, with the industry nourishing a large pet population and with around 90% of all pet owners feeding prepared pet food at least once a week, pet food is one of the most significant market sectors. The market for prepared pet food was worth just under £1.5 billion in 2002. Pet food offers the total daily calorie requirements for a pet in a product which is easy to use and enjoyed by your pet. Over the years, pet food sales have consistently increased. This trend is accounted for by increases in the pet population, a growing use of pet food as part of the overall diet, a greater variety of diets and the benefits and value for money that pet foods offer. However, prepared pet food accounts only for approximately 60% of the dog's, and 65% of the cat's regular calorific intake. Over the last couple of decades prepared pet foods have become increasingly sophisticated. Scientific advancements in pet nutrition mean that manufacturers are now not only thinking about meeting the nutritional needs of pets but also how health and well being can be enhanced by using added beneficial ingredients. PFMA have a number of FAQs dealing with pet nutrition topics so click here to find out more. Pet owners feeding a commercially prepared pet food can have complete confidence they are addressing all their pet’s nutritional needs. Members of the PFMA follow the FEDIAF (The European Pet Food Manufacturers’ Association) Nutritional Guidelines when making pet foods. These guidelines detail the nutritional needs of cats and dogs at varying life stages. They are regularly updated to include the latest nutritional research and are peer reviewed by independent nutrition experts throughout Europe. Pet foods are subject to stringent legislation in the UK to ensure safe products of high quality. For instance, the legislation covering pet food ingredients requires that when manufacturers use by-products of the human food industry they come from animals slaughtered under veterinary supervision. The industry has also adopted a number of Codes of Practice which support and in some cases exceed legislative requirements. "The amount of nutritionally related problems we encountered 30 years ago was legion. We saw bad coats, poor teeth, poor digestion, rickets and shortened life spans. This was all as a result of inadequate nutrition. The widespread feeding of prepared pet foods and advancements in these diets has made a major difference. Pets are now living longer, healthier lives and we just don’t see the nutritionally related conditions we used to."